Tonight, a bunch of NFL teams will be looking for their franchise quarterback in a draft that is pretty in deep in that position. Teams like the Cleveland Browns (once again), New York Giants and New York Jet (also, once again) are expected to pick a quarterback. 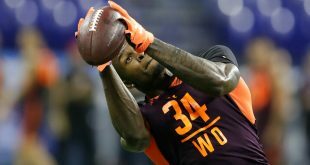 The draft will start at 9 o’clock. From the teams aforementioned, the Browns are the ones under the biggest uncertainty in terms of picking a franchise quarterback; this is something that they have failed miserably for the past the decade. After having a mediocre 0-16 record during last season, they evidently have the no. 1 pick in the draft. They also have the No. 4 pick, which they got from the Houston Texans. So, they have the chance to fill up to positions on their roster. In New York, both the Giants and the Jets have the No. 2 and No. 3 (they acquired it from the Indianapolis Colts) picks respectively. The Giants are at the crossroad of either start building the future or keep romanticizing about their past; it is either picking a talented young quarterback or letting Eli Manning continue having struggles at leading his team. When talking about the Jets, this draft might be the biggest window they have had in a long time to get their passing leader. This draft has been very polarizing in the QB department, especially when it comes to choosing either Sam Darnold or Josh Rosen. Both players are two of the most favorite quarterbacks to be chosen in this draft. The two players had impressive performances for their respective teams. 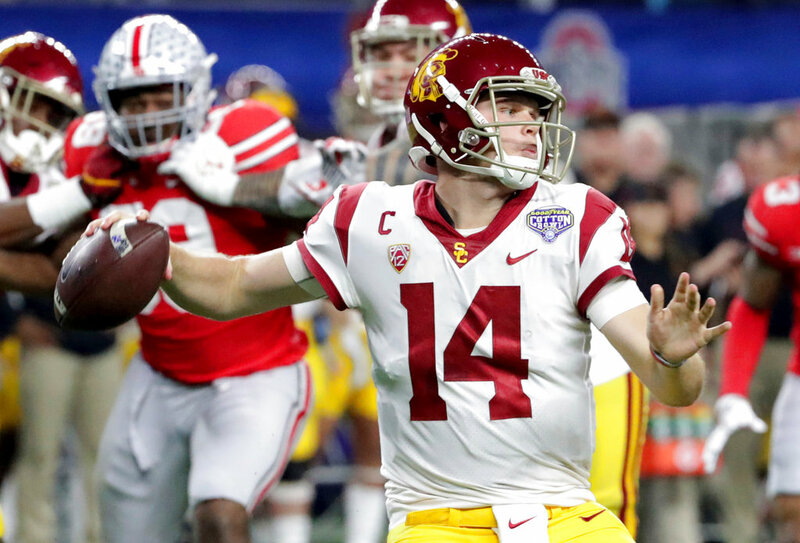 On the one hand, Darnold led his team to have an 11-2 record and reach a bowl appearance in the Goodyear Cotton Bowl Classic, which they lost 24-7 against the Ohio State Buckeyes. Darnold’s stats make him an impressive prospect. He made 4,143 passing yards, threw 26 touchdowns and had a 63.1 completion percentage. 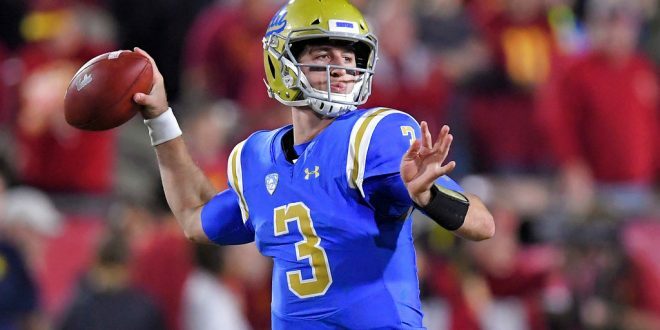 On the other hand, Rosen, who shared the spotlight with Darnold in Califonia by playing for the UCLA Bruins, did not perform as well as Darnold, but he still had a fantastic 2017 season. Rosen’s team had a forgettable 6-6 record during the regular season and lost in the Cactus Bowl against the Kansas State Wildcats 35-17. But he succeed at the individual aspect. He threw 26 touchdowns, made 3,756 passing yards and had a 62.6 completion percentage. 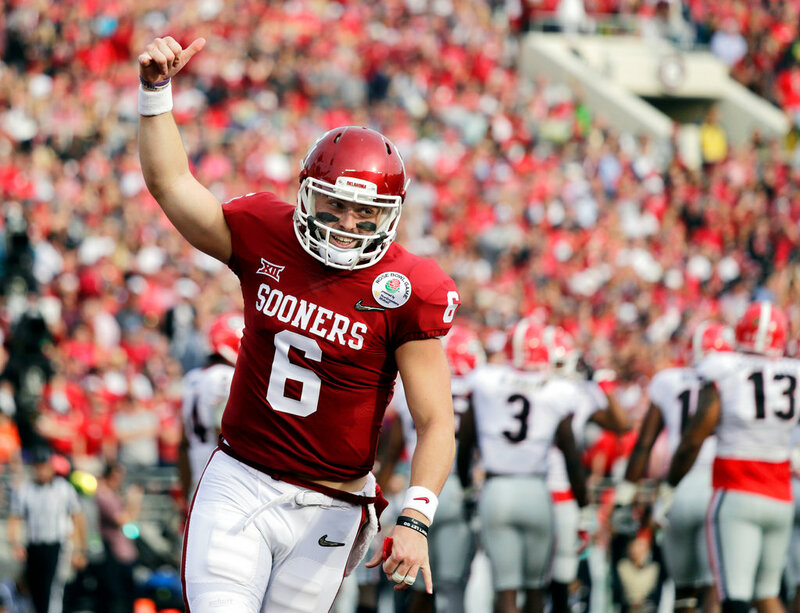 Miles away from California, Baker Mayfield exceeded all expectations and critics while leading the Oklahoma Sooners to the Rose Bowl. Mayfield’s stat-lines and competitive drive made him winning the Heisman Trophy this past season. He threw 43 touchdowns made 4,627 passing yards and had a 70.5 completion percentage. His team had a 12-1 regular-season record and outscored its opponents 591 points to 318.